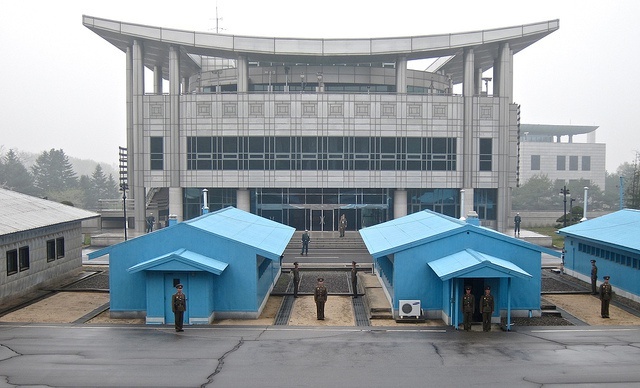 Go to the Joint Security Area (JSA) of Korea's demilitarized zone. See and learn the significance of the Bridge of No Return, the Military Armistice Commission Conference Room and Freedom House. ▶ Due to the military issue or weather, It can be cancelled without notice on tour day. ▶ Since it is the military zone, You have to follow the rules. 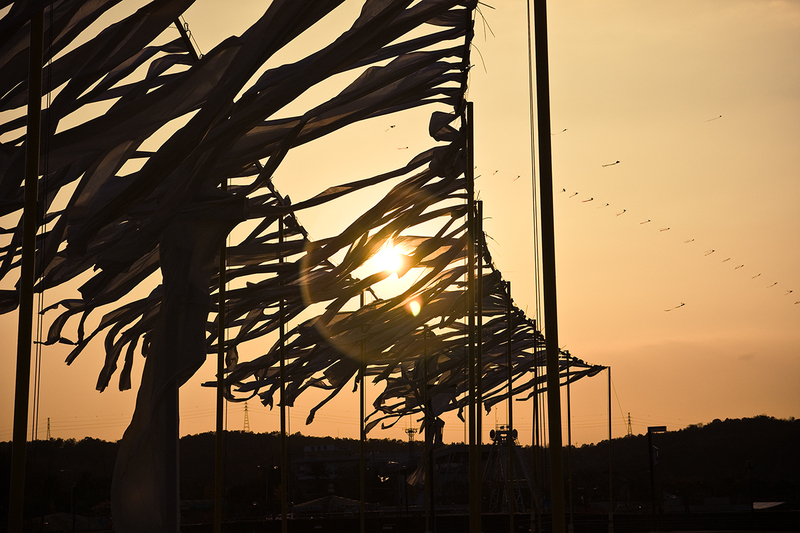 ▶ For your reservation, please book your tour at least 72 hours in advance. If you are looking at our website, PLEASE BOOK NOW! You will never experience the tour in the ongoing military area, JSA tour will be the unforgettable tour. 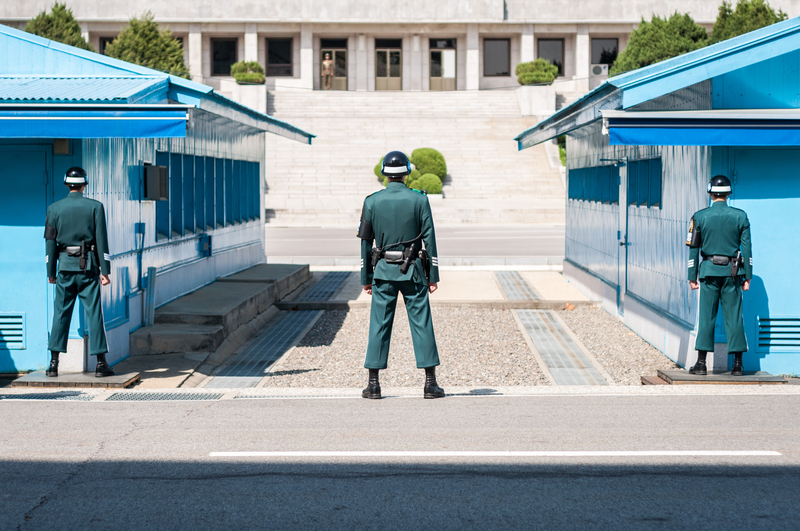 South and North Korea military troops are standing face to face under an armistice agreement. Visit the thrilling JSA tour! JSA is the only place where the South and North can meet each other unarmed without a barrier or barbed-wire fence, in the area around the "truce line". As well as it is a special area beyond the administrative jurisdiction of South and North Koreas States Parties. Within JSA, Panmoonjeon is located where the South and North Koreas’ Summit and the Military Armistice Commission took place. You can see that South and North Korean military stand right ahead each other. Cold mood by soldiers who are working in tight security will make you feel the tight tension. 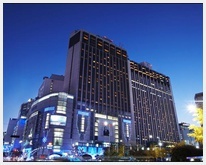 The northernmost JSA of South Korea is different from any other tour places. 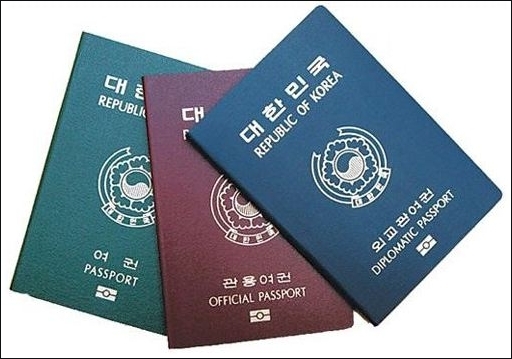 Even it is in Korea, foreigners need to turn in their passport details once more to reserve this tour in advance, and only when a group has more than 30 people, Korean can visit this place after a background investigation. 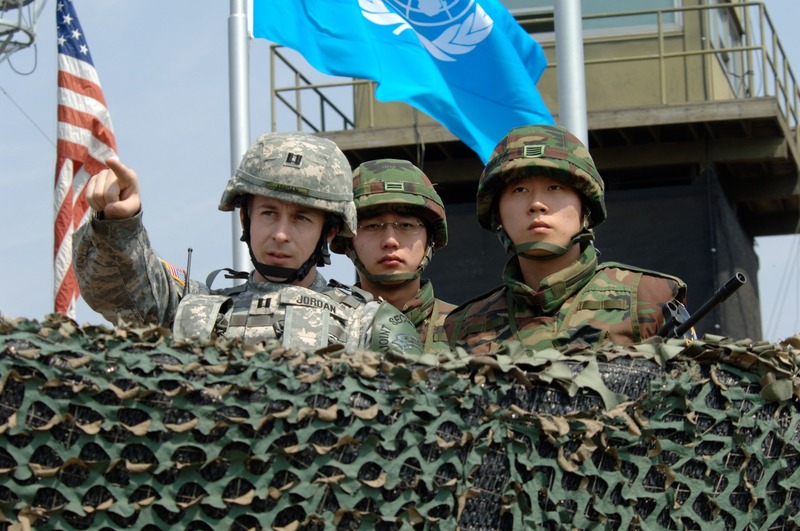 Republic of Korea and United States Forces Korea soldiers conduct the United Nations Command DMZ Orientation Program tours of the JSA and surrounding areas. Camp Bonifas is the command post of the United Nions Forces inside of Panmoonjeom.At this location, solders who are in charge, boards the bus and examines your attire and identification once more.At the JSA national security center inside of the Camp Bonifas, they give a briefing about the Panmoonjeom visitation.There is a golf course called Par 3 One Hall Gold Course made of artificial turf inside of the Camp Bonifas. It is called ‘the most dangerous golf course’ because surrounded around the three sides of the club are minefields. The armistice agreement of 1953 provided the establishment of the Military Armistice Commission (MAC), an agency to supervise implementation of the truce terms. 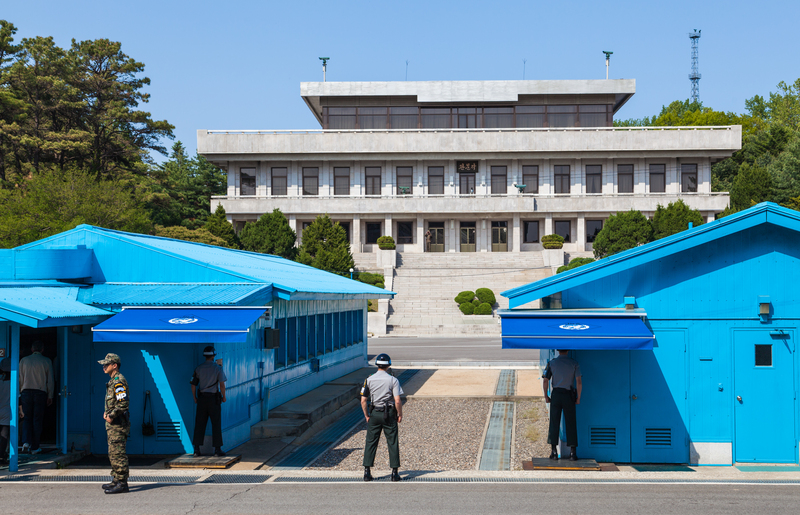 A conference row was built to hold meetings of MAC representatives from the United Nations Command (UNC) and the North Korean Peoples Army (KPA). 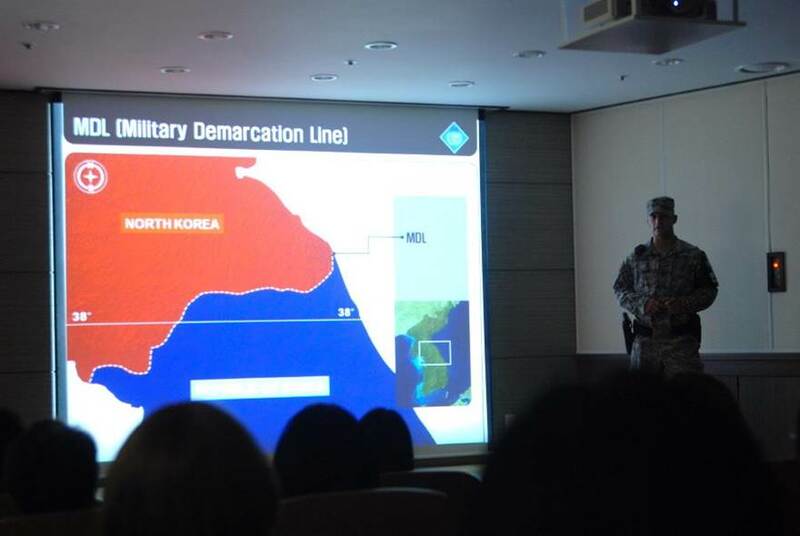 The conference row consists of seven buildings set squarely on the Military Demarcation Line (MDL). The line is marked on the ground between the buildings on conference row by several 17”×5” concrete slabs. 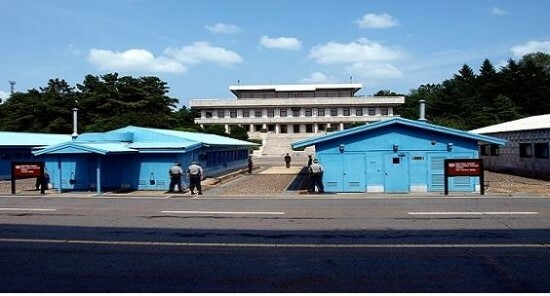 The three blue buildings are managed by UNC, and four gray buildings, by KPA. The central blue building is the MAC Conference Room, where talks take place between both sides. 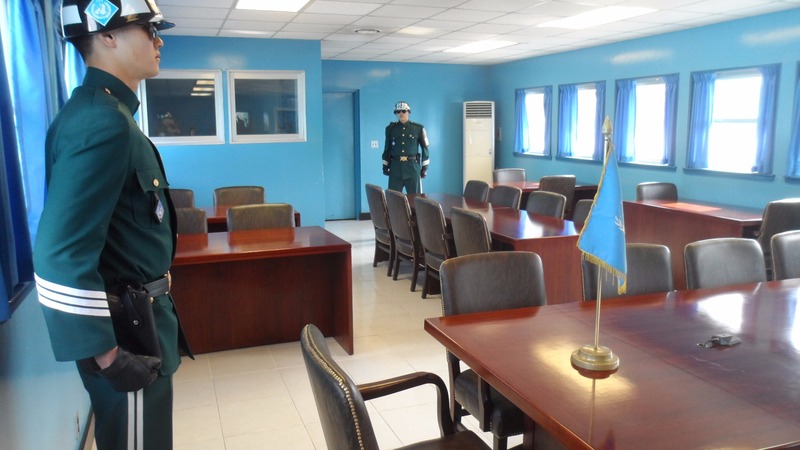 The MAC room has a line, which bisects the center of a conference table in the middle of the room First, you will stand right in front of the conference row to take photos of North Korean soldiers, who are posted in front of their visitor center. Then, you will be escorted into the MAC Conference Room, where you can cross the division line even though you are prohibited from opening the door toward north direction. GP 3 is the nearest spot you can watch and picture the scenery of North Korea, surrounding you at three sides The guard post is located on a small mound, standing out into the north territories. 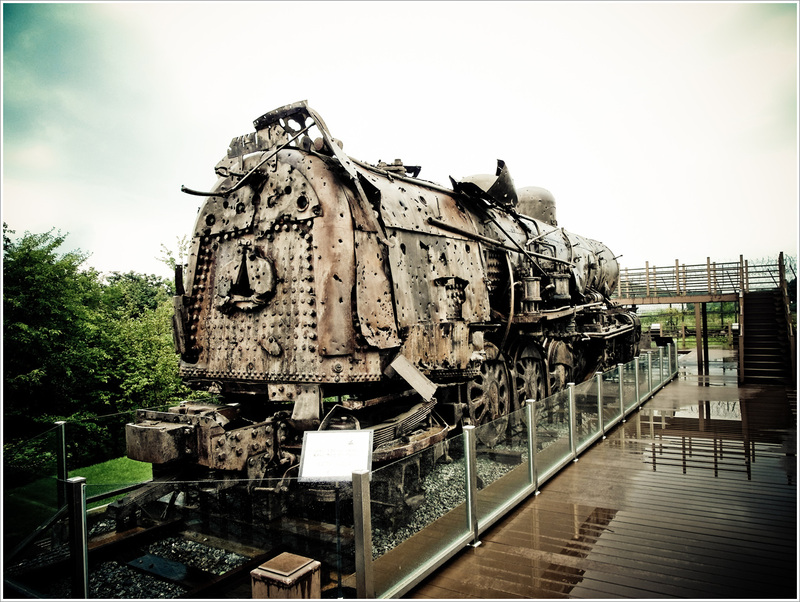 It commands a fine view of many important facilities of North Korea. Straight ahead of you about one Kilometer away, you will glance the scary “Peace Museum” of North Korea, where they are displaying the two axes used to murder two American officers. If you look at your right hand side, there is a guard post of KPA where they are checking and filming your every movement. You can return their favor by picturing them back, but you are not supposed to point them with your fingers or to make any gesture which can be interpreted as a signal of another war. If you turn your head to the left, you can find UN Guard Post Four, which is only twenty meters ahead of the focal point of Axe Murder Incident. If you look far away along the direction, there are the propaganda village, Gaesung Industrial Complex, and a radio signal jamming tower. 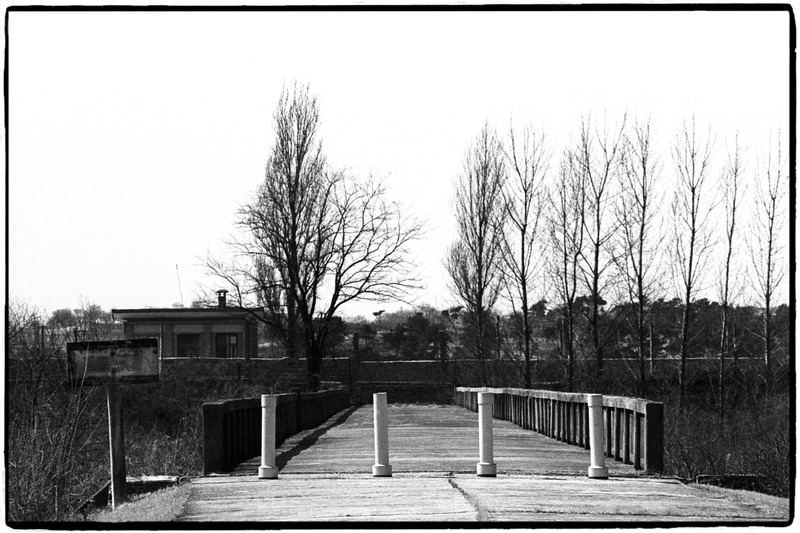 The Bridge of No Return is a small bridge where POWs were exchanged after the war. There were two operations for it: Operation Little Switch as a test case for prisoner repatriation and Operation Big Switch for a general exchange of prisoners. All the POWs were carried to the both ends of the bridge and they were given a choice. Once they chose to cross over the road, they could not make a turning back, hence the name “Bridge of No Return”. About thirteen thousand UNC prisoners returned to their countries, and about eighty nine thousand KPA and Chinese prisoners returned to their communist nations. The JSA tour has been closed since some time in 2018 but they still sell tickets as if it is open. 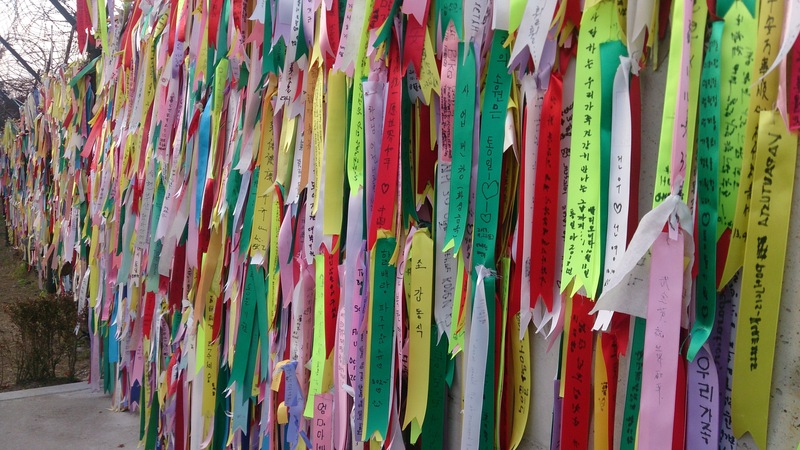 They don't tell you until the morning of the tour and since you have already set your day aside for it, they ask you to book another tour for just the DMZ on the spot which you must pay for and wait for a refund for JSA. Honestly, the DMZ tour was good but the deception about the JSA really angered us. They shouldn't sell tickets to something they know is closed! I understand the times when it is open and closes last minute, but when it has been closed for over half a year, they should tell people up front. We booked a trip to Korea mostly for this tour and would have scheduled for another time if they told us this information up front. The tourguide was really good. The service was fantastic and when they found out that I had paied the wrong tarif they refound the difference! I highly recommend this trip!! 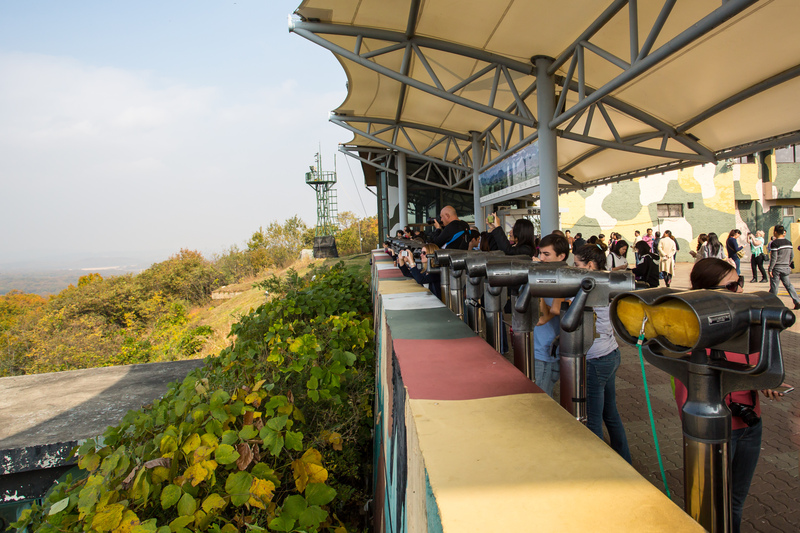 It is our first visit in Korea and your dmz tour was a very special experience and I think your service was impressive. Thank you.